In the recent past, a rebel has grown inside me, it is no longer ready to accept things as it is, also this rebel thinks things differently from my former self, sometimes there is strong urge to do the opposite of what others say. It isn’t harmful, but many around me don’t feel that I behave normal or that my writings portray that I am in pain or not okay and also that I am a changed person. All of us change over time, don’t we? And I am okay usually, but we all do have a lot of mood swings and my mind is like the thunder girl’s from the X-Men fame. Definition of okay is each to his own. The definition of it varies from people and circumstances. In your twenties, with so many changes happening in and around, it is okay to be angry, okay to be sad, okay to forgive yourself and most importantly okay to not be okay. And I convinced myself that I am okay, and I need not be satisfying others definition of being okay. Plus, I felt it was okay for me to feel what I feel and say what I say guilt free. Just live the way I want to happy, content and being more than just okay. 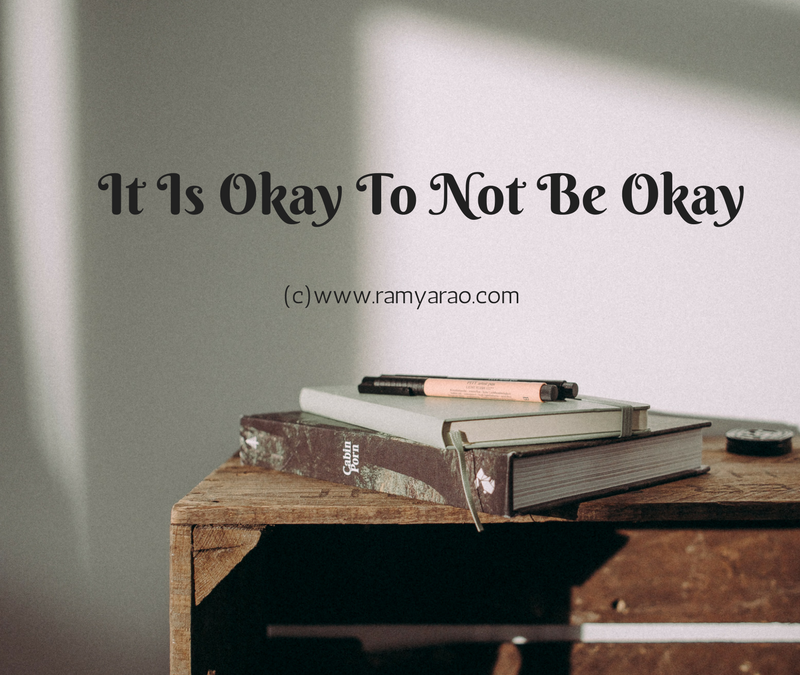 One simple rule of thumb to follow is this, I find: As long as you are not hurting yourself through your beliefs or your position on something, it is okay not to be okay. But if you are struggling to find meaning in life, feeling low and listless and/or depressed, it’s time to seek help. I didn’t when the time came. But I had a family that stepped in and ensured that I did get the help I needed. It’s okay to not be okay if you know what keeping you not okay. It’s okay to talk, cry and share. It’s okay to reach out to others. Yes ..its ok to not be okay sometimes and its ok to feel sad, rebellious sometimes. But it should not be more than that. Sharing really helps.